As you know, at Buckle, we’re all about denim! 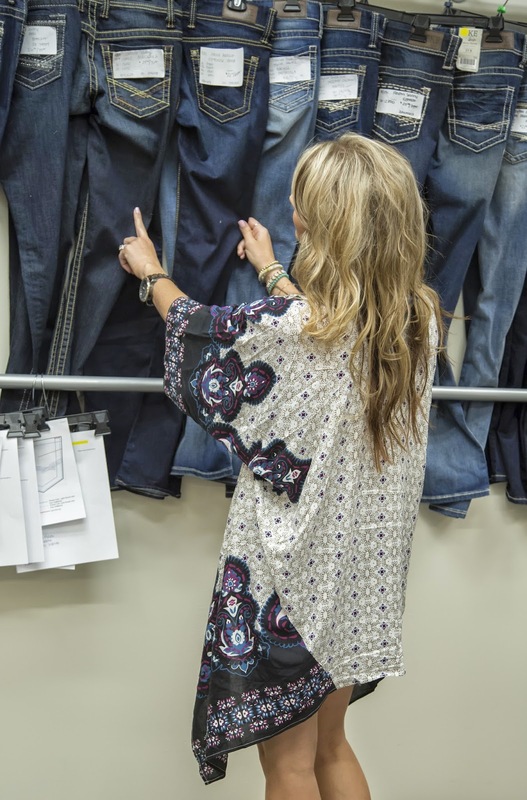 And in honor of this month’s Live In Denim promotion, we’re taking you behind the scenes at our Corporate Office to meet one of our denim buyers – Jenae. While she focuses mainly on our private label denim brand, Daytrip, Jenae also works with some of our top denim partners including Big Star, Flying Monkey, and Silver. Today, she’s giving us an inside look at her job and sharing some of her top denim tips. How did you find your passion for fashion? I began my journey as a denim fit model and was hooked. I really enjoyed seeing all the product and how it changes from season to season. What is your favorite denim fit and why? My favorite denim fit is Daytrip Lynx. This fit offers a great rise option, outstanding stitch details, and multiple washes, yet it still has an unbelievable price point! How do you like to style your favorite jeans? The great thing about your favorite pair of jeans is that they can work with any look. I love to style my favorite denim with anything from a pair of Corral boots to my trend wedges in the summer. The options are endless with a good pair of jeans! Are there any denim trends to come for back to school that really excite you? One thing that excites me about denim for fall is the new and innovative performance-based fabrications. We’ve shopped the market to provide multiple options in light weight, super stretch fabrics to bring the “comfort” factor to life without jeopardizing the great fits that Buckle is known for. Where is the coolest place you’ve traveled to for market? The coolest place I’ve traveled for market would be Los Angeles. I love the atmosphere and the life in the fashion district. The vendors we partner with are very inviting- we’ve toured factories, seen wash houses, sewing facilities, and some of the newest technology out there in denim. What’s a day in the life at work like for you? No two days are exactly the same, which is one thing I LOVE about my job! My job is highly concentrated in development and design, analyzing of reports and selling, daily fittings, and buying. What is your favorite concert outfit? Rocker tank paired with cut off denim shorts and cowboy boots is my favorite concert attire. Oh and can’t forget the headband- this creates the ultimate concert look. I love seeing product come to life. We build and design product from the ground up, and to see people respond and wear the product is a huge compliment! What’s the worst denim crime someone can commit? In my opinion, the worst denim crime is not having a good pair of jeans that fit properly. This is one of the many reasons why I love Buckle – we have so many fit options to cater to everyone’s individual body type. That’s not something you always find at other clothing stores. We also offer an online denim fit guide so you can find your perfect fit even if you can’t make it into the store. Thanks, Jenae, for giving us an inside look at denim buying and the process that goes into creating our favorite jeans! 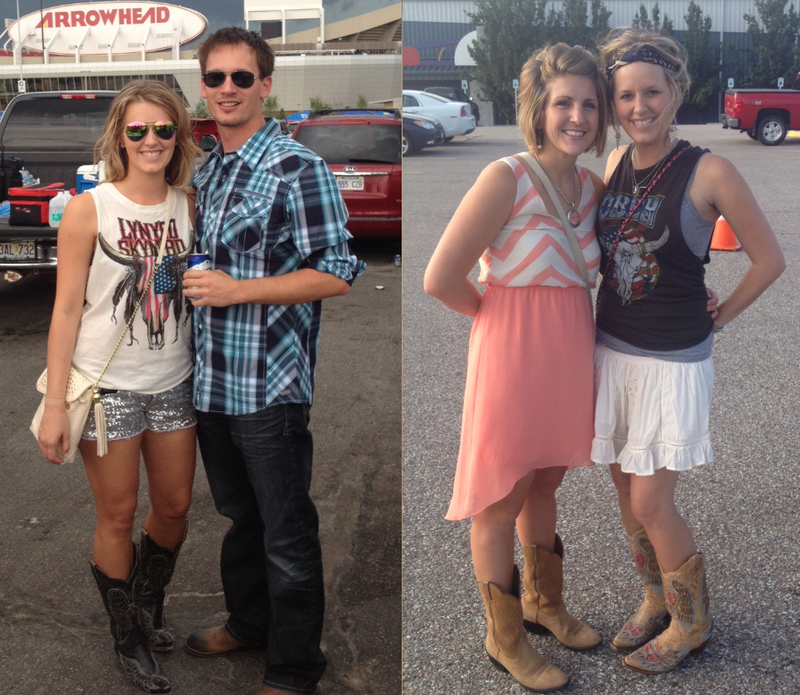 Friends, let us know – which Buckle team member do you want to meet next?